True Creative – NOT THE END…but a new beginning! Today we close the doors on our business True Creative Ltd. and say good-bye. 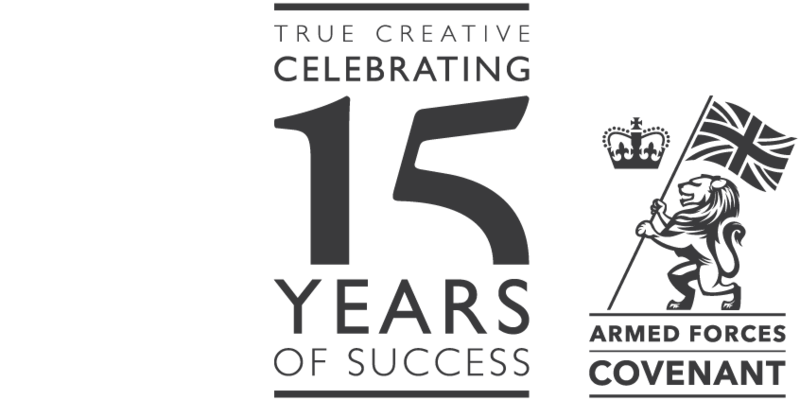 When Steve and I formed True Creative 15-years ago, it was built on our mutually personal core values, this was simply to be true to ourselves and to do business in a true and honest way. We have maintained these values in conjunction with our enthusiastic and tenacious work ethic, our broad commerciality and supreme creativity throughout, it’s who we are. This is what made us unique and successful, from the work we produced and delivered, through to the businesses, brands and the friends in commerce we impacted and influenced, and the wider lives we have touched. Regrettably, in recent months, we have endured such unscrupulous and unprofessional external behaviours, it became impossible for True Creative to operate as a solvent business, but moreover, our spirits were crushed, making it too demotivating to continue. It is now unchartered water and as you can imagine, this has not only impacted our professional lives but will significantly impact our personal lives and that of our immediate family. We are heartbroken and shattered, but despite this, we are proud of what we created, what we represented as a business through our personal commitment, quality of work and the integrity in which we have conducted ourselves in a professional capacity over the last 15-years. I shall always be personally indebted to Steve, Mark and Carole who from the very beginning were truly creative, their talent is rare and unrivalled, as is their humility, camaraderie, patience, dignity, and honesty, they are amazing people and I’m honoured to know them. I also want openly to say thank you to our families and close friends who continue to rally during this really difficult period, it’s humbling to hear what you think, how you see us, the unconditional support, encouragement, advice and opinion has been overwhelming, you are all powerful, inspiring and loving, we are so fortunate to have you in our lives. Finally, I want to say thank you to the many businesses and third-party suppliers for their loyalty and support, you are aligned with our true values, you understand the impact of what’s happened, created by things beyond our control. I have not wanted to let anyone down by the associated pressure or lack of communication. In time it will come right, I will make it right and firmly believe you reap what you sow, and our truth will ultimately be rewarded.